Kane has commenced work on 'The Connection' located on the Rhodes Peninsula, Sydney. The $18 million project comprises of four new single storey buildings, landscaping and public domain improvements with associated works that will accommodate a range of indoor and outdoor activities from informal play, playgrounds and seating. 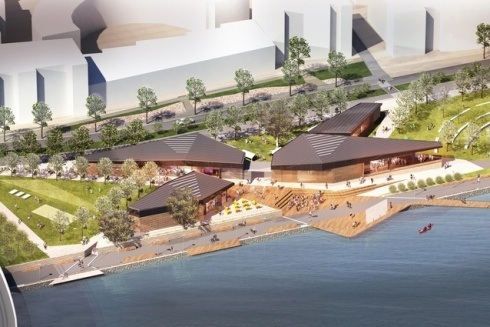 Building 'A' includes a restaurant and café on the waterfront with outdoor dining. Building 'B' includes an E-resource centre, creative suites, digital gallery, Council facility management space, public toilets and both active and passive flexible community spaces, allowing for activities such as topic talks, student study spaces and interactive displays. Building 'C' includes a configurable auditorium hall, available for hire including kitchen and an outdoor terrace. Building 'D' provides a variety of meeting spaces and rooms for hire, including storage, toilets and outdoor areas, places to develop community programs, activities and entertainment. 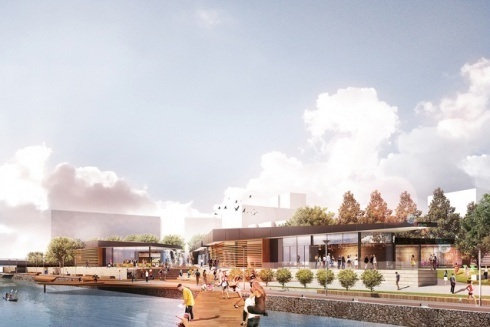 External spaces for the whole community including, innovative waterplay, viewing deck, green 'rooms', upgrades to the adjacent park and high quality outdoor spaces.